Kim Logan-Nowlin, Ph.D., LPC, BCPC, ACAC, IAMFC, MFT, AAFLP or “Dr. Kim,” as she is affectionately called by audiences, is a dynamic speaker who always leaves her audience spellbound. As President of Kim Logan Communications for over 30 years, she has trained and counseled people from all walks of life to be INSPIRED and how your words can change your choices and your life”. 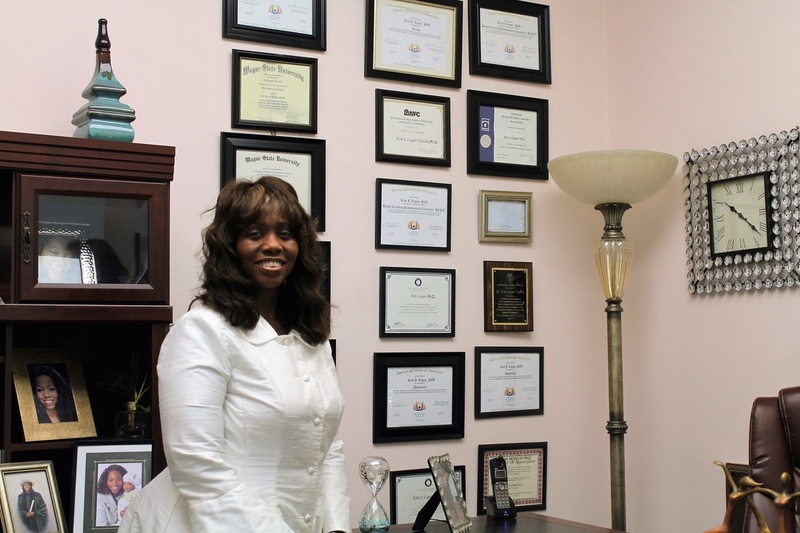 She holds a Bachelors of Science Degree in Special Education, Masters of Arts Degree in Family and Guidance Counseling, and a Doctorate of Philosophy Degree in Oral and Interpersonal Communication and Clinical Family Counseling. As a national inspirational/motivational speaker, her oratory brings encouragement, direction, hope and healing to thousands each year as she travels around the U.S. and abroad sharing words of inspiration for all ages. She is a gifted woman on a mission to help others discover their gifts. Dr. Kim also serves as Professor of Speech Communication for Wayne County Community College District. Dr. Kim meets the needs of hurting individuals and families as a Christian family therapist and counselor in her private practice. She served as a co-director of the family life department of the Lake Region Conference from 2007-2014 with her late husband Elder Arthur Nowlin. She serves as the host of Making It Work Television on 3ABN Dare to Dream Network. In addition to being a tv host, she is a contributing writer for the Message Magazine online -The Drama Files. Dr. Kim is the author of five published books- The Attitude Adjustment of the Christian Man and Woman, Refusing A Direct Order, Friends in the Bedroom- But Strangers in Church, Marriage: Living with the Unexplainable, and Intensive Care: Can Our Marriage Survive or Not? Dr. Kim desires to﻿ inspire﻿. Dr. Kim on Making It Work on 3ABN television network discussing the Do's and Don't's of a Healthy Marriage.